The debate is a follow up to the second edition of the Academy on Media Law in South East Europe, held in Sarajevo, on 3-5 September 2013. During the three days of the Academy’s work, its participants discussed issues of media pluralism, public service broadcasting and the freedom of the media on the Internet. 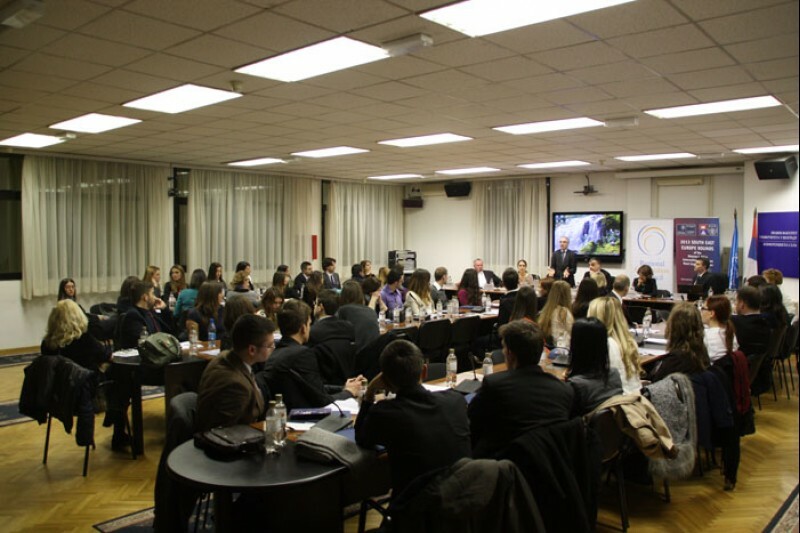 The event will be held back-to-back with the 2nd South East Europe Rounds of the Monroe E. Price International Oxford Media Law Moot Court Competition, with participation of students from across the region. It is being organized by the Regional Cooperation Council (RCC) Secretariat and the Law Faculty of the Belgrade University. Welcome address will be delivered by Goran Svilanović, RCC Secretary General, while the panelists will include Saša Mirković, Assistant Minister for Information of Serbia; Nevena Ružić, Assistant Secretary General, Office of the Commissioner for Public Access to Information and Personal Data Protection of Serbia; Boris Bergant, Expert of the European Broadcasting Union; and Snežana Trpevska, Expert of the Academy on Media Law in Sout East Europe and a lecturer at the School of Journalism in Skopje. The moderator will be Vuk Cucić, Assistant Lecturer at the Belgrade Law Faculty. 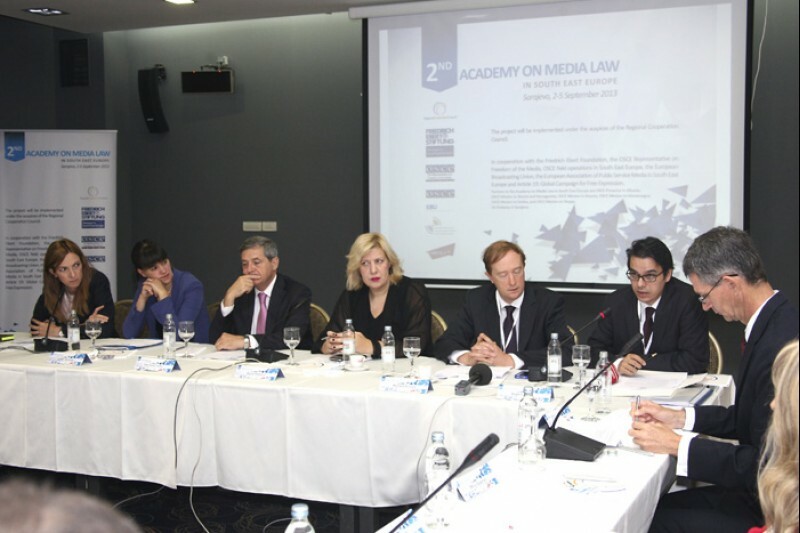 The Academy on Media Law seeks to enhance cooperation in the development and implementation of progressive media legislation in South East Europe in line with international and European media standards. It aims at safeguarding media freedoms and the right to freedom of expression by sharing and learning from the best legal frameworks and practices in the enforcement of media standards in the region. It gathers media professionals, practicing media lawyers, legislators/parliamentarians, government officials, members of media regulatory and self-regulatory bodies, civil society and academia from South East Europe, dealing with media freedom issues. A deepening of the dialogue between state actors and media and non-governmental community is the niche the RCC considers of a paramount importance for strengthening the freedom of expression and human rights in SEE, securing the well-being of a society, its economic prosperity and development, in line with goals of SEE 2020 strategy the countries of the region have recently adopted under RCC coordination. Journalists are invited to the panel debate on Friday, 13 December 2013, at 17.30, at the premises of the Law Faculty of the University of Belgrade, Conference Hall, Bulevar kralja Aleksandra 67, 11000 Belgrade, Serbia. The 2nd ACADEMY ON MEDIA LAW IN SOUTH EAST EUROPE was held under the auspices of the Regional Cooperation Council, and with support of the Friedrich Ebert Foundation, the OSCE Representative on Freedom of the Media, OSCE missions in the Western Balkans, the European Broadcasting Union, ARTICLE 19: Global Campaign for Free Expression, the European Association of Public Service Media in South East Europe, and the United States Embassy in Bosnia and Herzegovina.